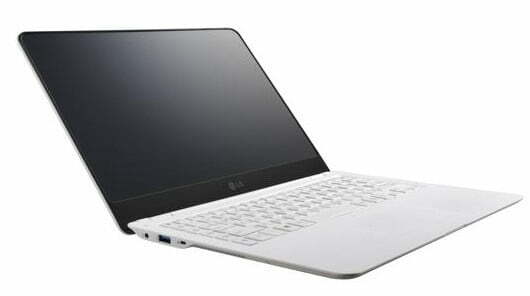 Among the many varieties of convertible and hybrid computers floating around CES, LG’s new Windows 8 Tab-Books may just represent something unique. 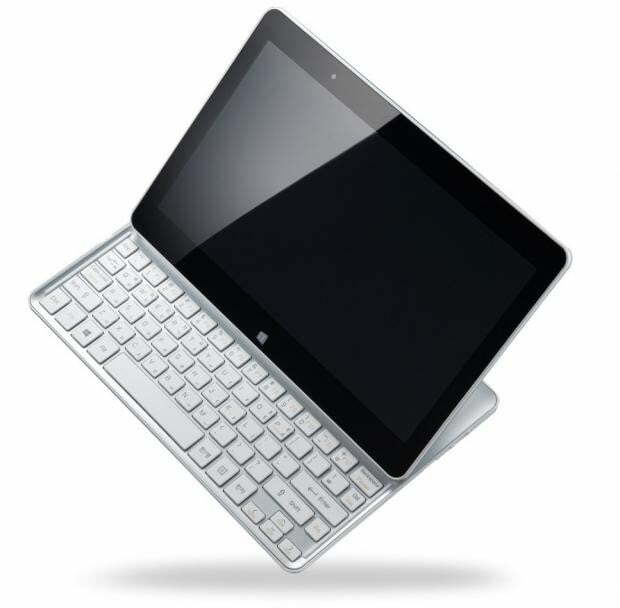 Like the Sony Vaio Duo 11 or the Asus Eee Pad Slider, LG’s Tab-Book H160 and Tab-Book Ultra Z160 transform from a tablet into a sort of propped-up, miniature netbook, complete with shrunken keyboard (although no touchpad). However, as The Verge reports, the Tab-Books take this unique form factor a step further with a dedicated button and a spring-loaded hinge that helps the configuration “snap” into place—an arguably more convenient and satisfying design. Interestingly, the Tab-Book Ultra Z160, which purports to be the more Ultrabook-like of the two models, is actually the thicker and heavier of the pair. The Z160 clocks in at 2.7 lbs. and 0.76 inches thick, while the H160 shaves off a bit of heft at 1.3 lbs. and 0.63 inches thick. The main difference between the two lies in processing power. While the H160 hums along with an Intel Atom, the Z160 roars with a third-generation Intel Core i5. Unfortunately, both 11.6-inch Tab-Books come with only 720p resolution, setting the bar lower than some other models currently on the market. They also settle for 5-point touch sensitivity, rather the 10-point touch that’s increasingly becoming the benchmark for Windows 8 devices. On the other hand, HDMI and USB 3.0 inputs make connecting to larger screens a breeze. LG also showcased its new Ultrabook Z360, a 2.5 lb., .53-inch thin, 13.3-inch model that lacks touch sensitivity, but does boast a full 1080p screen with IPS technology. A clean, white chassis and gently rounded corners give the Z360 a friendly look, while a fourth-generation Intel Core processor – available in i3, i5, or i7 flavors – packs in under-the-hood power, including the ability to cold-boot in eight seconds. The only potentially quirky aspect of this PC is the choice to add five hot keys, aligned on the left side of the keyboard. Rumors of cheap iPhone continue to spread, but do they make any sense?